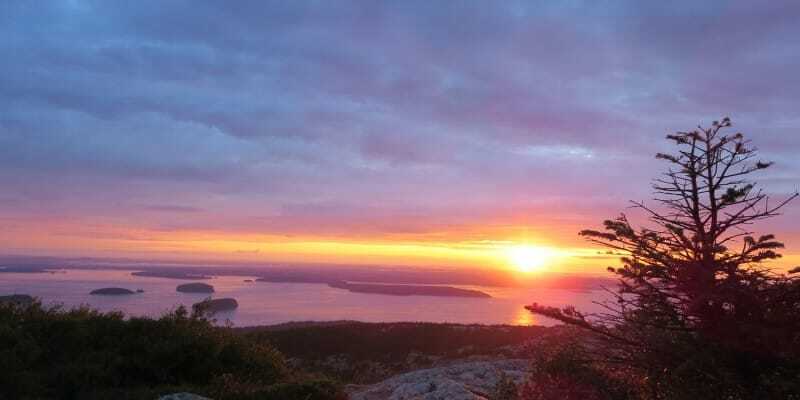 Sure you can drive to the top easily, but why not hike to the top of Cadillac Mountain – and the top of Acadia National Park in Maine – in less than 5 miles round trip? At 1,528 feet in elevation, Cadillac doesn’t sound like much to write home about. 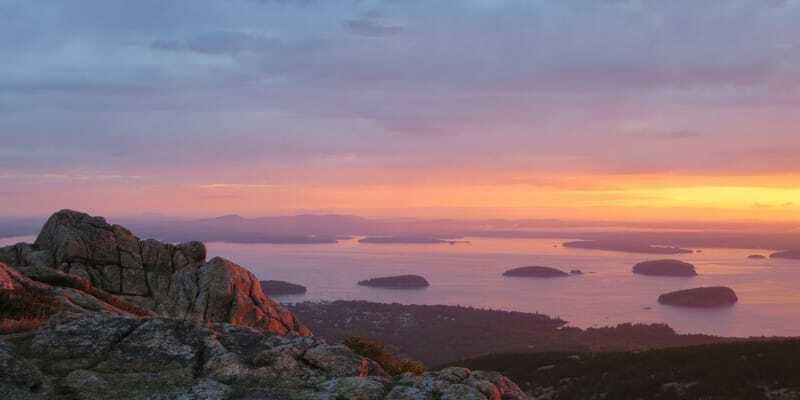 However, check this out: The summit of Cadillac Mountain is the highest point in Acadia, the highest point on Mount Desert Island, the highest point in Maine’s Hancock County, and the highest point within 25 miles of the shore on the entire Eastern seaboard of the U.S.
That surely adds a little flavor to an otherwise modest 1,500-foot summit. Starting at the Hulls Cove Visitor Center on Park Loop Road, head about about 3.5 miles south to reach the trailhead for the North Ridge Trail. The trail begins on the south side of the road, starting out with a climb through a moderately rocky section before opening up a bit. The trail climbs at a steady clip, running close to the paved auto road in some spots. The trail doesn’t cross the auto road, staying to the east of the road while heading mostly south. 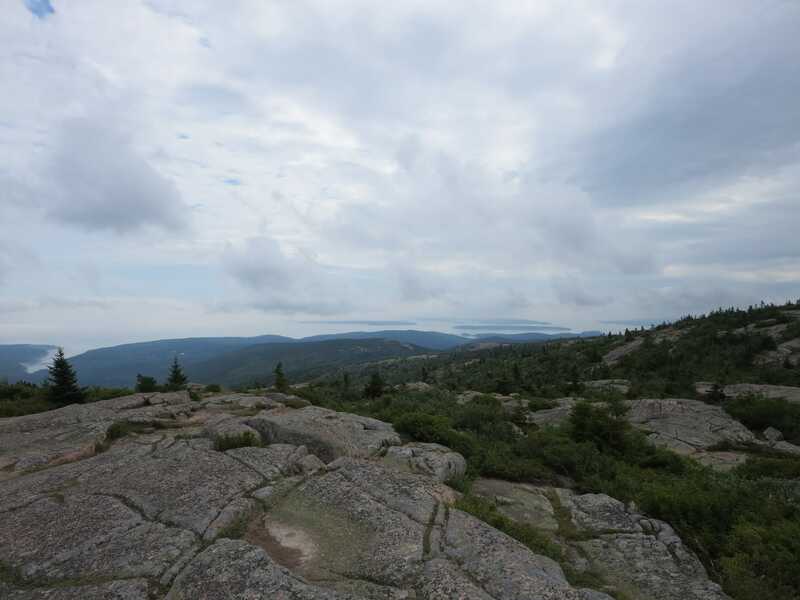 Continue to follow the well-marked trail south / southeast as you make your way to the top of Acadia. Nice views will begin to open up as you ascend, but don’t waste too much time – the views are that much better at the summit. A little under 2.25 miles from the trailhead, you’ll arrive at the summit to see all of the people who took the easy drive up strolling around snapping some selfies. There’s a gift shop and some other amenities up there. 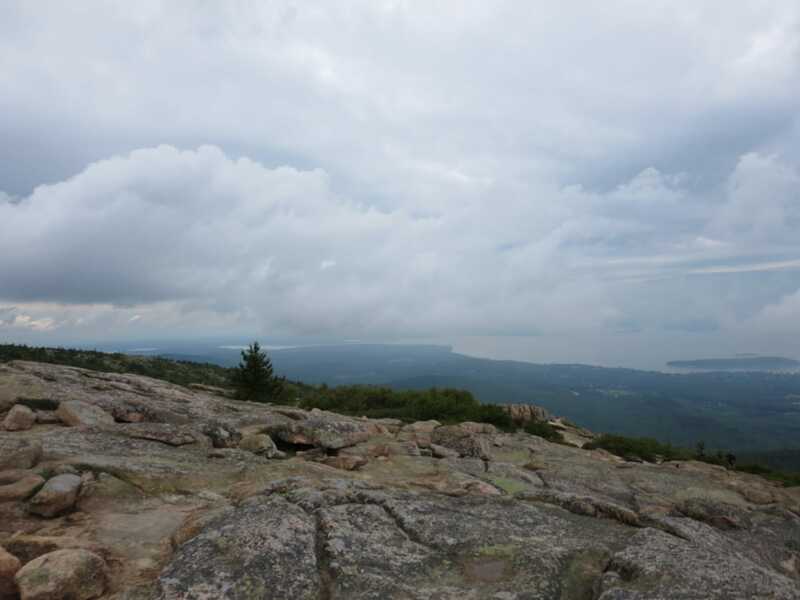 Take in some incredible views before turning around to complete the loop. 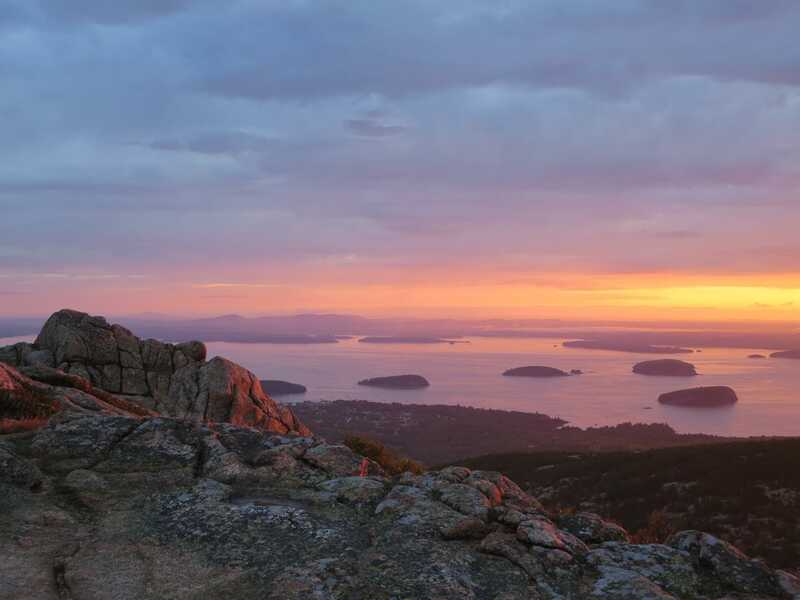 You may even be able to spot Maine’s highest mountain (and the northern terminus of the Appalachian Trail) Mount Katahdin – to the north. 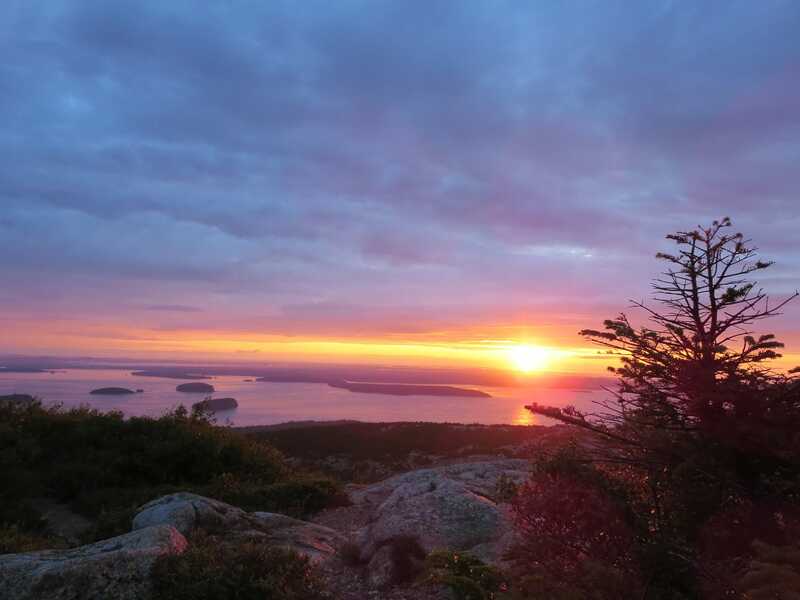 If you do opt for a pre-dawn hike to catch the famous “first sunrise in the nation,” don’t forget that headlamp. Access this hike from Acadia’s Park Loop Road. 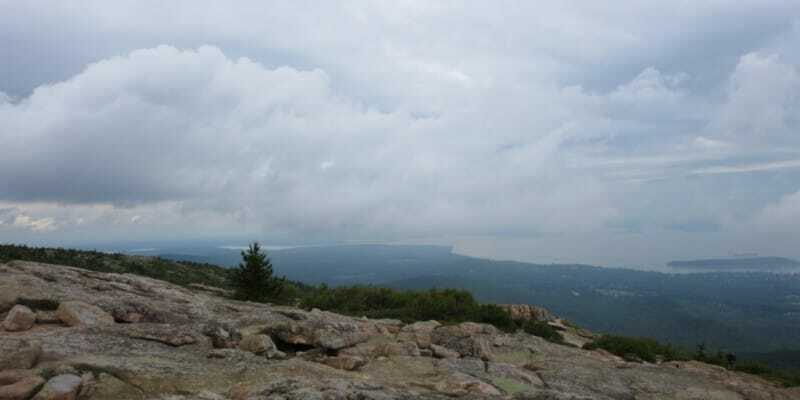 Park Loop Road is a 27-mile road that winds its way around Mount Desert Island. The road begins at the Hulls Cove Visitor Center, which is near Route 3 on the northern side of the island. After approximately 3 miles on Park Loop Road, the road splits. Take a left turn here; the trailhead for the North Ridge Trail is about 0.5 miles from the split. Note: if you go right at the split, you’ll reach the Cadillac Summit Road instead of the trailhead.